There is a huge demand for custom academic writing among students as they are gradually realizing the importance of writing and submitting well-researched term papers and essays on various topics. To satisfy these demands, several essay writing services have come forward. Australia is home to one such service, namely Bestessays.com.au, which serves students and provides them with all the help that they need with their essays. The talented and competent panel of writers is there to assess the needs of students and provide them with the most superior quality, custom academic writing that helps them to impress the faculty in high schools and colleges. Academic writings include college essays, term papers, case studies, dissertations, reviews, presentations, critiques, thesis, proposals, complex and cumbersome statistical projects, research papers and laboratory reports among other. They can also cover admission and scholarship essays, personal statements etc. High quality custom academic writings with outstanding research before writing and prompt delivery are some of its star attractions. 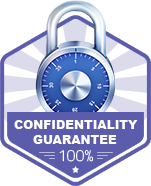 There are also guarantees of total confidentiality of personal data of the buyers and fast order processing. One can go through the sample essays provided on the website, as well as check the prices, discount offers mentioned and also the FAQ before placing an order. They can even contact the service for further clarification of any doubt.